We provide excellent pest control services in Nepean and we have been doing so for over twenty years. The residents and business owners of Nepean have always turned to us whenever they faced any forms of pest infestations or intrusions by wild animals. 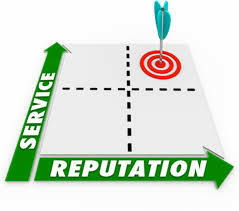 And due to our commitment to quality services, we have never disappointed. As a company, we take seriously the happiness of our clients and this is our reason why we offer more than just what we are paid for. For instance, when we conduct animal removal services, we will not leave your premises without doing structure reinforcement to repair any damages and seal all the entrances that the animals might have used to access the building. This is in order to prevent future intrusions by the animals. 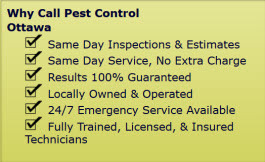 We are locally owned and operated hence we understand most of the common pest and animal intrusion problems in Nepean. You get to work with a team of highly trained, fully insured and licensed experts. Discretion while offering our services. We will come to your premises in unmarked vans and do the job quietly without giving your neighbors a clue of what is happening. 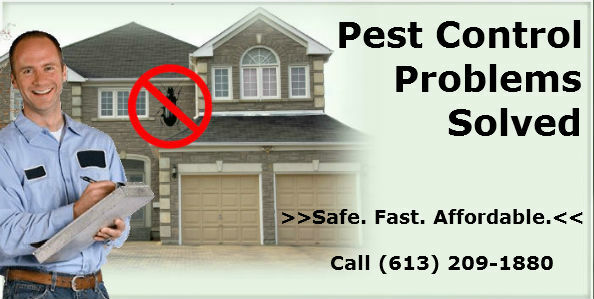 Get in touch with Pest Control Ottawa today and end all forms of pest infestation or animal intrusions you might be currently experiencing. Our service area includes Ottawa, ON and the surrounding areas. Pest Control and Animal Removal Services in Nepean, Ottawa, ON call (613) 209-1880.